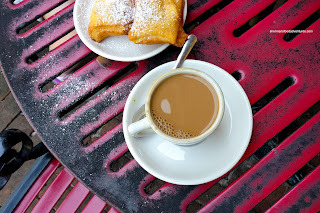 Now that we had visited the famed Cafe du Monde, it was time to do a comparison test. 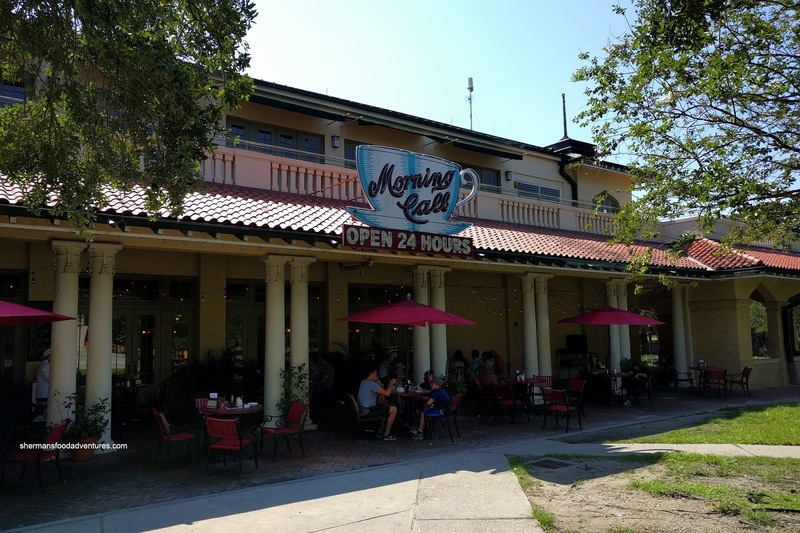 The "other" spot for some delicious beignets is Morning Call located in City Park. 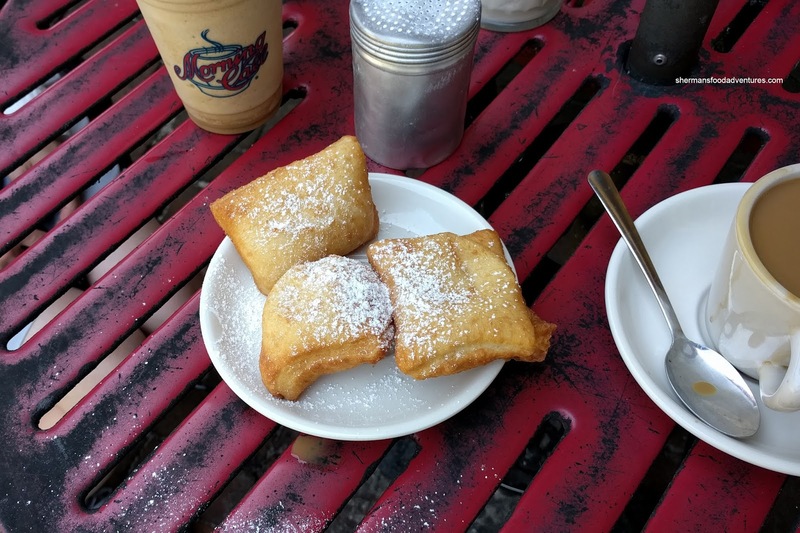 You might wonder what the difference could be for fried dough topped with powdered sugar right? Well, with any form of cooking, including baking and frying, there are many subtleties. In fact, if not done right, the differences are not subtle at all! So we headed over to Morning Call the day after right in the morning to try the same 3 things we had at Cafe du Monde. 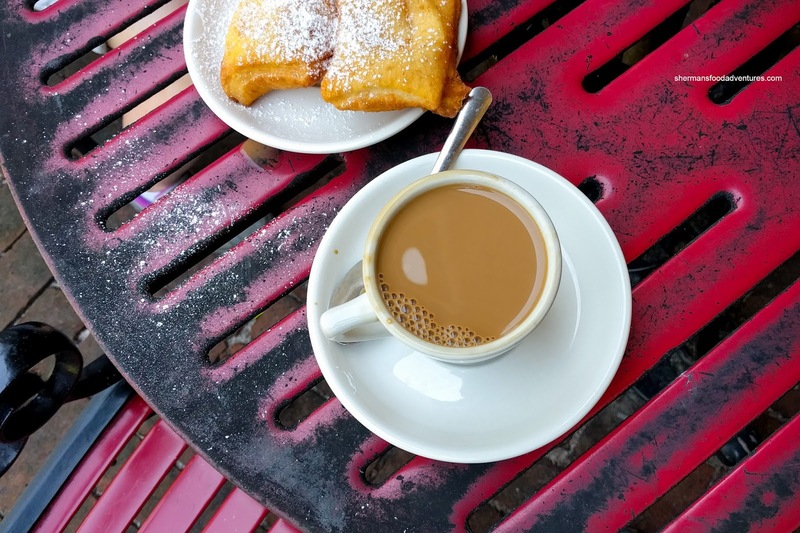 Let's start with the Beignets first. These were presented without the powdered sugar. Rather, we were supplied with a shaker and were able to control the amount. This was a good idea not only for taste purposes, but also it allowed us to not waste any of it. When I said subtleties, this would be the case here as the beignets were different, but not in a huge way. I would say the same applied as Cafe du Monde whereby the beignets were doughy in some spots and airy in others. Overall, I thought the ones at Morning Call were denser. Since we could control the sugar, it was less sweet. As for the Cafe au Lait, there was a considerable difference in my opinion. I felt that the coffee wasn't as strong nor as impactful. Hence there was less aromatics going on. Rather, it was more milky (no problem with that as it was a cafe au lait) going down smooth and silky. 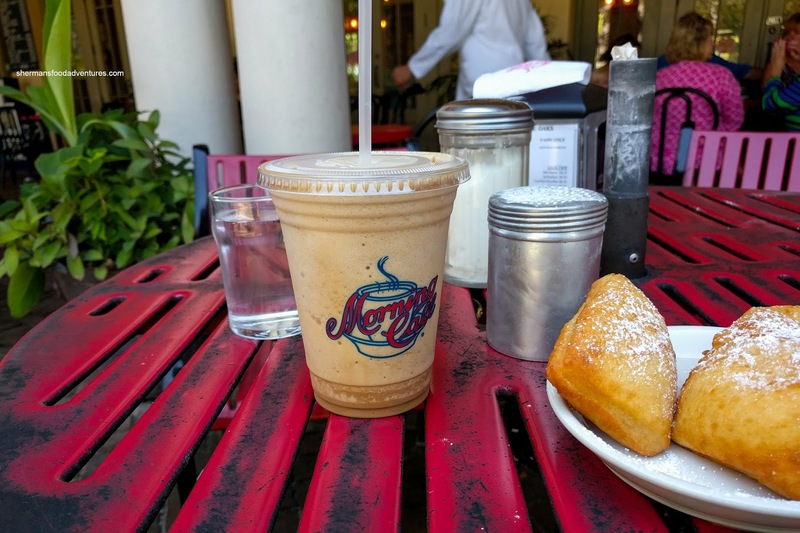 Viv went for the Frozen Coffee which was totally different from Cafe du Monde since it was more like a frapp being icy and sweet. She liked it, but thought that it was hard to finish due to the sugar content. In terms of the beignets, it is hard to say if they were better than Cafe du Monde. This would be purely subjective. Personally, I liked them more, but not the coffee.